Quad core 12 volt motor powered 4 wheel drive ride on ATV Quad 2 seater Jeep style trucks with Magic Cars® wireless remote control as seen on Nickelodeon TV are great for children 2 children ages 1-9 and can hold up to 100 pounds. Measures a huge almost 5 feet in length. Big 14" wheels lets you drive your new ATV in dirt, grass, concrete, and light snow too! Treat the love of your life today. Buy today and receive upgraded real working opening/closing doors for even more realism at no additional charge. Achieve speeds of 5 mph thanks to the (4) 12 volt motor configuration as we have upgraded each wheel to have its own 12 volt motor for more power and increased torque to conquer mud and dirt! Call 800-350-5420 or order online today. Functional headlights, tail lights, large all terrain real rubber tires, huge 14" chrome wheels, storage trunk, shock absorber suspension, real ignition keys, real working FM radio stereo with speakers, opening/closing doors, audio input for your phone tablet or device, adjustable seat belt, cup/drink holders, 24 volt battery system (2 12 volt battery packs), and a leather seat! The best part is that this ride on ATV can be wireless controlled via the included remote control while in mom or dad mode. Drive your child or children forwards, backwards, left, and right at your command. Great for training or just having fun with your kid. Want to allow the driver in the car control? No problem, as there is a selector switch inside the vehicle that allows full driver control. Buy today and you will receive the Playtime Power Pack 24 volt battery upgrade made of 2 combined 12 volt battery packs which will give you continuous run times of 2-3 hours! Don't be fooled by imitators, only official Magic Cars® sold on TrendTimes.com come with free 1 year bumper to bumper warranty.. TrendTimes.com carries all spare parts just in case an antenna, battery, or any other part gets misplaced at any point in time. This high quality ride on truck is extremely durable and is guaranteed to be working. While you are here, relax and take some time to see our entire line of Ride On Cars and toys at our online toy stores. works great and looks amazing. My sons truck works great and looks amazing. got it for granddaughter she loves it. its name is MISS PINK. its a very cool rider toy. she has had it for a little over 3 months now and has used it many times, in different terrain. snow, dirt, mud, gravel, grass etc. lots of fun, I have some videos to show. its a good snow 4x4 toy it went through 4 in of snow just fine and with all 4 independent wheels turning it has lots of traction and plowing power. looks cool, her friends love it as do the neighborhood kids. the adults think the remote is a very cool idea, and the radio, music, and wifi are a nice touch. my granddaughter loves the horn. and her passengers love it too. all 4 wheels are independent for good traction. the snow videos show its power and traction. fun smiles on the kids faces. this car is still strong even after 3 years of year-'round use. Hi, thank you for your email. I got a voicemail as well and the ATV is quite amazing. I am shocked by how much power it really has. Love it, love it, absolutely love it. Thank you for your support and updating me so quickly during my order! I put my grandkids ride together today, I could not be happier! Your staff has been great to work with and the side by side was in perfect condition upon arrival. I will definitely be shopping with Trend Times again. We received this yesterday as a gift for our grandson. This is better than expected. We can't wait to see his face when we open the garage.. Thank you Trend Times. Very excited to be able to change to driver full control and see him drive himself. I contacted the company and got a response back very quickly. This is the best customer service I have experienced in a long, long time. They are very personable and understanding, it was a great experience and I would recommend them to all my family and friends. My grandson is going to love this! We got it so his parents could have him be the ring bearer at their wedding and since he can't walk yet they can drive him down the isle. Thank you very much!! My grandson loves it. Thanks again for everything. I bought it and my 12 month old loves it I even love driving him around its a great gift for a child. We purchased this for our 18 month old for Christmas this year but ordered it a little early. She loves it. The remote works well and we are able to drive her around everywhere. It was super easy to assemble seriously I did it all myself before my husband got home. Love love love this and the price was lower then anybody else's I could find. Shipping was fast got here fast and it shipped out the day before thanksgiving. Super awesome toy. Way to go guys you nailed it. What else can I say but this Hummer is awesome. Bought it for my 1 year old son and he loves it. 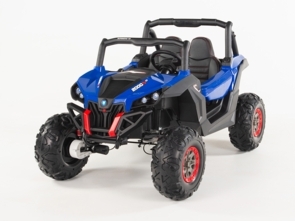 Purchased the 2 seater ATV for my two toddlers at https://www.trendtimes.com/remote-control-ride-on-jeep.html. Customer service was very professional and I'm the coolest dad ever and my kids cant get enough of their truck. I'm thinking of buying the 2 seater Jeep next at https://www.trendtimes.com/jaguar-ride-on-car1.html for their cousins. this is truly the best gift you can give to any kid. my nephew loves it. I won't be amazed if he becomes a pro in driving! You got to learn at some age right? haha. Thank you TrendTImes for keeping me up to date with my shipment. Great customer service! Assembled in about an hour! Our 23 month old loves it I think my husband likes driving him around in it more! It has gripper on the tires so you can drive them in the grass and not get stuck! Needed a wall charger replacement and TrendTimes responded quickly via email to my request and had it shipped out the same day! Would definitely recommend Trend Times.com!! Thank you.